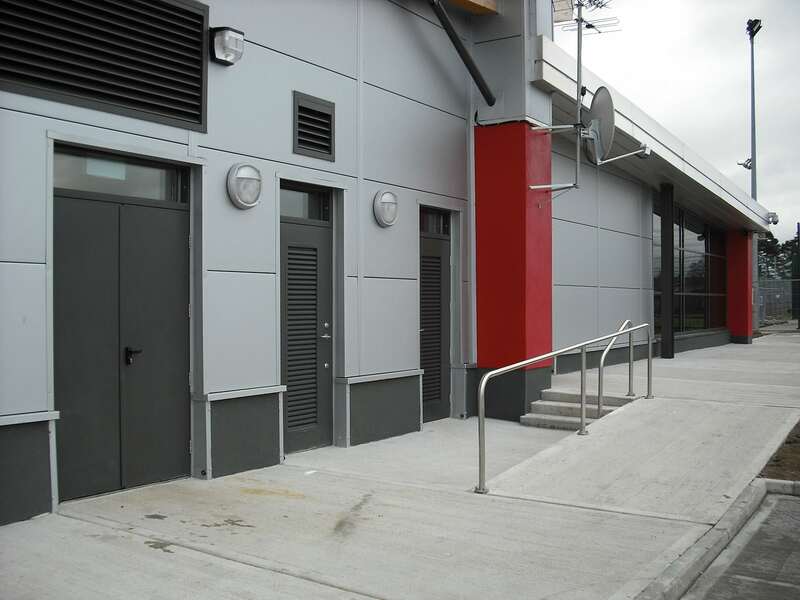 Certain areas in a building may require special air circulation, light entry, rain defence or screening and louvers can be a good solution for this with horizontal slats that are angled to admit light and air but keep out rain, direct sunshine and noise. To complement our extensive door range Fireblock has introduced a range of louvred ventilation grills, synonymous with quality and performance. All Fireblock louvers are manufactured from profiled stainless steel to your specific requirements and can be supplied with insect mesh fitted internally. All our louvers can incorporate the unique features of the door range for ease of onsite installation to steel or masonry situations. We can also offer fire and acoustic integrity, as integral parts of doors or as independent units. Depending on your project requirements we can manufacture your door as fully louvred, half louvred or partially louvred so there is a solution for all your louvre needs at Fireblock.